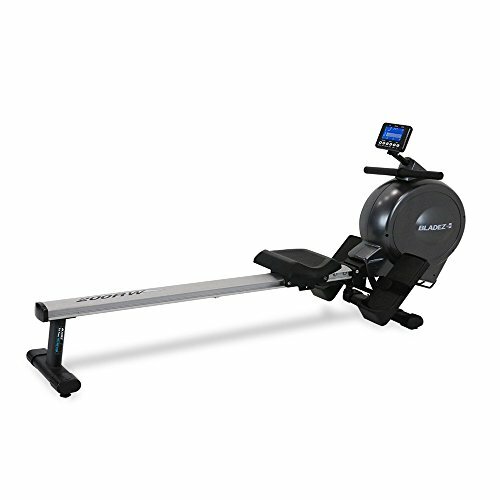 Bladez by BH 200RW Performance Rowing Machine provides a great cardio workout and 17-quick start preset programs for a wide variety of workout intensities. The Bladez by BH Performance Rowing Machine is a perfect fit for your residence. Elevated seat and rail allows for easy entry and exit. Wireless heart rate receiver and chest strap included. Backlit LCD display swivels for optimal viewing angle. 17-quick start preset programs. Electronically controlled magnetic 16-levels for wide variety of workouts. Padded rowing bar with 35" of seat and 62" of handle travel accommodate most user sizes. Heavyweight and ultra smooth 13lb flywheel for consistent momentum. Space saving folding design. Transportation wheels for easy storage between workouts. Plug in AC adapter included. Maximum user weight: 265 lbs. Home use warranty: Lifetime frame and 1-Year parts & labor. Frame: Lifetime. 1-Year Parts & Labor. Made in China. Model: 200RW. If you have any questions about this product by Bladez by BH, contact us by completing and submitting the form below. If you are looking for a specif part number, please include it with your message.